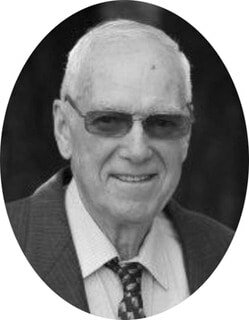 ​In his 90th year, Ernie, a Dominion & Ontario Land Survey Engineer by trade and a family man by nature, passed away peacefully on January 21st, 2019 in Ottawa, ON. Born in Vancouver, BC on January 29th, 1929 the youngest of three children; Helen (Barrie) of Vancouver and predeceased by Mildred Vallieres of Orillia, ON. Beloved husband of Helene (nee Beaudoin) of 63 years. Loving "Dad" of Diana of Ottawa, Christina (Bruce) of Calgary, Robert (Donna) of Burlington, Daniel of Ottawa and Joanne of Ottawa. Cherished grandfather of Michelle, Alexander, Kaleigh, Dennis, Nicolas, Nicole, Jacqueline, Eric and Chanel. Great-grandfather of Anthony, Sophie, Mason and Lennyn. 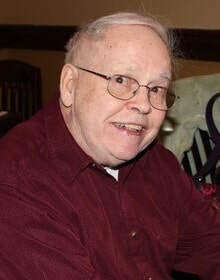 Ernie loved his family and had many hobbies - clock and pocket watch collection, Ham radio, genealogy and woodworking. He also loved the outdoors - at age 19 he built his first log cabin on Mt. Seymour, (Vancouver, BC) and then moved to Ottawa where he met Helene and started his family. They then built their first cottage in Breckenridge, QC on the Ottawa River. In 1977 - a new building adventure was a cottage on McGregor Lake in Gatineau QC, a place family still enjoy today. When he retired from the Federal Government, he needed a new hobby and purchased a 40-acre hobby farm in Avonmore, ON where he designed and built a log cabin. There he began to grow varieties of nut trees. He spent years segregating and irrigating the property in hopes of cultivating the finest nut trees and to leave a small legacy for his children and grand-children. This he has done, and it is appropriately known as Kerrsdale Farm. Ernie also volunteered with the Eastern Chapter of the Society of Ontario Nut Grower, Rideau Valley Conservation Authority as well as the Ottawa Experimental Farm to assist with many land survey functions. Arrangements have been entrusted to Kelly Funeral Home - Walkley Chapel (613-731-1255). The Family will hold a Celebration of Life in the spring. In lieu of flowers, donations to the May Court Hospice, Ottawa or the Canadian Cancer Society are appreciated. Don passed away peacefully on January 24, 2019 at the stroke of midnight. Beloved husband of Gwen (Dafoe) Yates, devoted father of Karen and Glenn Yates, grandfather of Carter, Palmer and Chandler Simpson and remembered fondly by his first wife Catherine Joanne Yates. Don was born at 943 Greenwood Avenue in East York, to Raymond Yates and Pearle (Graham) Yates. He was predeceased by his brothers Graham, Gordon, George and his sister Norma (Iley). His sister Mary and sisters-in-law Rose, Sandy and Lorraine remember him with love. Don graduated from East York Collegiate Institute and then attended the University of Toronto for one year. He decided to follow in his brother Georges' footsteps and became a Land Surveyor. He was a partner with his brother George at Yates & Yates Ontario Land Surveyors and PhotoMap Air Surveys. He enjoyed a long and distinguished career in the OLS, he was on the council and later became the President for one year in 1981. Don loved to curl, skate, and ski. He also enjoyed fishing, swimming and snorkeling at his cottage on Brough Lake. Perhaps reminding him of his childhood, where the Yates children spent their summers at the Yates cottage in Port Union. Don was a loving, caring and patient man. He will be missed tremendously. Visitations will take place between 10:00 AM - 11:00 AM on February 1, 2019, followed by a Funeral Service at 11:00 AM - 12:00 PM at McDougall & Brown Funeral Home Scarborough Chapel, 2900 Kingston Road, Toronto, ON M1M 1N5. Interment will be at 12:15 - 1:00 PM on February 1, 2019 at Resthaven Memorial Gardens. January 8, 2019. Survived by his loving wife Pamela, of 66 years; brother Dave (Thecla); four children, Lorna (Jorge), Dan Jr. (Dympna), Stanley (Beth), and Margaret- Ann. Remembered fondly by his 6 grandchildren, as well as numerous nieces and nephews, Dan also got to meet 4 of his 7 great-grandchildren. Predeceased by his brother Stanley, and sisters Gertrude, Anne, and Martha. Dan was born in Jasmin, Saskatchewan, and moved east with his family to the Ottawa Valley in 1940. He enlisted in the RCAF in 1943. After his discharge from the RCAF in 1945 where he served as an air gunner with Bomber Command (mid-upper gunner, Lancaster bombers) in England, Dan had a long and illustrious career with the survey department of Ontario Hydro, starting as a chainman, and rising to the position of Chief Surveyor. After retiring, Dan continued for many years as a consultant for the Association of Ontario Land Surveyors. He and Pam also enjoyed many years of travel across North America and Europe. During the last several decades of his life, Dan dedicated himself to making hand-tied rosaries, which he shipped to missions all around the world. Dan made over 80,000 rosaries before arthritis in his hands stopped him from tying all the knots necessary. Friends and family will be received at the Pilon Family Funeral Home and Chapel Ltd., 50 John Street North, Arnprior on Friday evening, January 11th from 6 to 8 p.m. only. A Mass of Christian Burial will be celebrated at Holy Name of Mary Catholic Church, 134 Bridge Street, Almonte, on Saturday morning, January 12th at 11 o'clock. Interment to follow at the Malloch Road Cemetery, 127 Usborne Street, Arnprior with a reception at the Pilon Family Reception Center afterward. In lieu of flowers, donations to Holy Name of Mary Catholic Church Building Fund, Almonte, would be gratefully accepted. With sorrow the family announces the death of Reverend Kenneth Amer of New Liskeard at the age of 86 years. Reverend Amer passed away peacefully at Tri-Town Extendicare in Haileybury on January 9, 2019. Born at Toronto on August 23, 1932, he was the son of the late Norman Amer and the late Muriel Thomson. He was predeceased by his loving wife of 55 years, Marlene, nee Johnson, and his brother Ted. Left to mourn are his children Nancy [Bob] Lennon of Pequot Lakes, Minnesota, Steve [Mandy Gilbert] Amer of New Liskeard, Doug Amer of New Liskeard; and grandchildren Marie (Colin Runnoe) Lennon, Joseph (Chelsea) Lennon, Colin (Brandi McLean) Amer and Emily (great-grandaughter Alexi) Amer. As was his wish, cremation has taken place. A private service will take place at a later date. If desired, memorial donations to the Alzheimer Society would be appreciated, and may be made at Buffam Leveille Funeral Home. Messages of condolence may be left at www.buffamleveille.com. 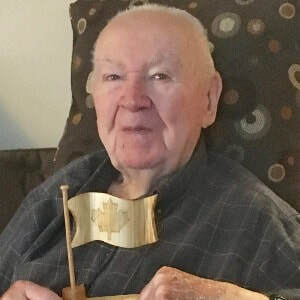 Ross W. Arnett, of Grand Bend, formerly of Ottawa and Sudbury, winged his flight to his next adventure, age 96, at home on Saturday, January 5, 2019. Beloved husband of Ruth Eleanor (Nelson) Britton-Arnett. Loved father of Karen Arnett of Ottawa, predeceased by his son Tony Arnett, daughter Mardy Kolditz and her husband Peter Kolditz. Cherished grandpa of Martin Kolditz and his wife Nicole Daoust, Leah Arnett, Riley Carrigan and Joey Carrigan. Cherished great-grandpa of Carter Kolditz and Melia Kolditz. Lovingly remembered by his step-children Bev and Wally Gunn of Grand Bend, the late Gaylyn Britton, Gordon and Josy Britton of Grand Bend, Jamie Britton and his wife Liz Cockfield of Vancouver. Grampa to Britt and Nicole Gunn, Brendyn and Sachiko Zachary, Thea and Paz Mistry, Cameron and Krisy Britton, Ryder Britton, Taylor and Elise Britton, Kyle Britton, Ben Britton and Sasha Britton, and great-grandpa to Connor Gunn, Carson Gunn, Ren Zachary, Zachary Mistry, Leela Mistry, Jackson Britton and Francesca Britton. Dear brother of Rosemary Schisler of Windsor. Predeceased by his parents Howard and Hazel (Marden) Arnett, brother Gerald Arnett and his wife Janet and sister Norma Arnett of Sudbury. 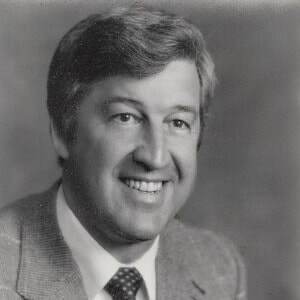 Ross was a well known surveyor in the Ottawa Region, the owner of R.W. Arnett Ltd. Ross' favourite past time was golf and all who played with him benefited from his golf tips. Friends and family are welcome at the Memorial Service to be held at the Huron Woods Clubhouse, Riverview Rd., Grand Bend, on Thursday, January 10, 2019, at 11 am. followed by a light lunch reception. David P.J. Schultz, 81, of Waterloo, Ontario passed away, Saturday Evening, January 5th, 2019 at St Mary's Hospital with Family at his side. David was born June 10, 1937 in Philipsburg, Ontario to Garnet and Evangeline Schultz. On September 9th 1961 David married the love of his life, Sharron Theresa Kirk. David was an Ontario Land Surveyor and ran a Surveying Business in Hawkesbury, Ontario from the early 60's until he retired in 1998 (after surviving the Great ice Storm) and moved back to Southern Ontario to be close with family. David is survived by daughter, Loryanne and son in law Steven, brother Peter (Babe) of Campbell River, BC, brother Thomas (Lois) of Kitchener, sister-in-law Sharryl Kay of Waterloo and many nephews and nieces. He was preceded in death by his wife, Sharron in 2013. He was also preceded in death by his parents, Garnet and Evangeline, and brothers Gregory and Matthew. A Celebration of Life service will be held at 11:00 am - 1:00 pm, Friday, January 18th at Memory Gardens Funeral Home 2723 Victoria Street N., Breslau, ON, NOB 1M0. Reverend Jack Ninaber will be officiating. Burial of ashes will be at a later date with a private Ceremony. Memorials may be made to the Canadian Lung Association and/or Kitchener-Waterloo Humane Society. It is with heavy hearts and great sadness that the Bennett family announce the passing of Bill Bennett in Brampton Civic Hospital on Sunday, December 2, 2018. Beloved husband of Nancy Jean (nee Brooks). Loving father of Karen (David) and Will (Jolene). Cherished grandfather of Jack and Evan. Bill loved his work as an Ontario Land Surveyor and was an avid golfer who loved hiking and baseball. He will be missed by his family and many friends. Visitation will take place at the Andrews Community Funeral Centre - 8190 Dixie Road, Brampton (North of Steeles Avenue) 905-456-8190, on Thursday, December 6, 2018 from 2pm-4pm and 7pm-9pm. A funeral service will be held in the chapel of Andrews Community Funeral Centre on Friday, December 7, 2018 at 10:30am, following the visitation that will start at 9:30am. Marcus Johannes Theodorus Nouwens has left us. He is survived by his partner Rachel Hepburn Craig, his children Maike and Oliver Nouwens, his parents John and Cathy Nouwens, his brother and his wife, Harm and Kim Nouwens and their children Matteus, Maiya and Mitchell. He was 44. 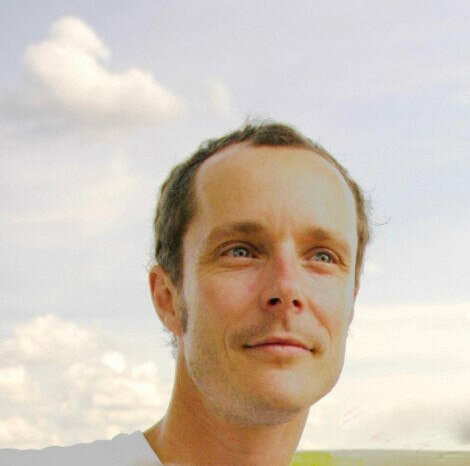 Marc was many things: a proud Canadian born in the Netherlands, a skilled and dedicated engineer, a generous host. But what defined him most was undoubtedly fatherhood. His two greatest joys and achievements were his children. He loved Maike and Oliver with everything he had. It was well known that Marc would do anything for his family and friends. Always quick to lend a hand or run an errand, he was unfailingly reliable, no matter the task. He gave of himself not just willingly, but enthusiastically. He lived for others. When tasked with living for himself, however, Marc struggled. Depression would cast a dark cloud over his life, and over his sense of self-worth. And at moments when he needed help, it often became clear to those who cared about him that he didn't know how to receive it. That didn't stop him from trying. Marc taught us many things. But he leaves us with one important lesson; that despite what many of us as human beings struggle with every day of our lives-feelings of loneliness, rejection, confusion, self-doubt-truth will help us move beyond these challenges, and love will light the path. Love is, and will always be, the only thing that truly matters.
. The memorial service will be held at the Mount Pleasant Funeral Centre, located at 375 Mount Pleasant Road, Toronto (416) 485-5572. Arrivals and greetings will start at 10 am, with the memorial service from 10:30 am - 11:30 am. The reception will be held at 63 Metcalfe Street, Toronto from 12:30 pm - 3:30 pm. The Association of Ontario Land Surveyors is sad to notify you of the death of Robert (Bob) George Holder, OLS# 961. HOLDER, Robert (Bob) George - Born April 27, 1934 in Aurora, Ontario. He passed away on October 2, 2018, at Maison McCulloch Hospice in Sudbury, Ontario. Bob was predeceased by his mother Eva, his father Edward, his brother Ted, and his loving wife of 44 years, Molly Holder (Parnham). He leaves behind his three children, Paul (Lynne), Mary Lou, and Brent (Linda), along with five grandchildren. Bob was raised in the Midland/Orillia area where he met and eventually married Molly Parnham. They moved to Blind River in 1958 for Bob to begin his career in surveying and start their family. They moved to Sudbury in 1966 to start his surveying company, Endleman Holder Ltd, and eventually retired in Algoma Mills at the family cottage. Bob enjoyed trolling for trout in the Summer and chasing deer in the Fall. Bob will be forever remembered as a great father and a loving and loyal husband. Bob's sign off, bye for now. As per Bob's wishes, he will be cremated and buried with his wife's ashes at Orillia cemetery at a later date. Bob's children would like to express their sincerest gratitude to the entire staff at Maison McCulloch Hospice who are all truly amazing people. A special thank you to Doctors Cano, Walton, and Boissonneault for their care and compassion. Bob's family will be holding a Celebration of Life at the Royal Canadian Legion Branch 76, located at 1553 Weller St., Sudbury, Ontario, on Friday October 12th, 2018 from 5:00 PM to 8:00 PM. In lieu of flowers, donations to the Maison McCulloch Hospice would be greatly appreciated. Arrangements entrusted to SUDBURY PARK LAWN CREMATION SERVICE. The Association of Ontario Land Surveyors is sad to notify you of the death of George P. McFarlane OLS# 1485. George Peter McFarlane passed away on September 12, 2018 at Credit Valley Hospital in his 79th year, after a lengthy courageous battle with advanced prostate cancer, George transitioned peacefully into the arms of our loving Saviour. Beloved husband of Hope for 53 years. Cherished father of Lisa, Camille, Peter (Jennifer) and Hans (Karen). Sadly missed by grandchildren Mathew, Julia, Gabrielle, Robbie and Isabel. Also leaves to mourn and treasure his memory, brothers Michael (Barbara) and Victor (Jackie) and sister Pearl (Jim) as well as many dear nieces, nephews, cousins and friends. Predeceased by parents George Peter and Roslyn McFarlane, sister Gloria Hart and brother Joseph McFarlane. In lieu of flowers, donations to Prostate Cancer Canada or a charity of your choice would be appreciated. If you have information on a fellow AOLS member who has recently passed away please let us know by sending us an email to penny@aols.org.